The Kalashnikov aka the AK-47 is the design classic we don’t talk about that much. It’s the mechanical instrument of murder that has outlived every other ‘gadget’ of its generation. Those who do bring it up as an incredible and awful achievement usually do so to be polemical, but it’s true. Elon Musk, Professor Stephen Hawking and the 1,000 other AI researchers who signed today’s warning about autonomous weapons are right – grafting AI onto the tools of warfare will produce the AK-47 of the future, an endlessly replicable, increasingly cheaper means of murder. And somewhere out there, today’s equivalent of Mikhail Kalashnikov is already working on it. Experiments with recurrent neural networks and other AI structures are already throwing up incredible results. Companies including Google and Facebook are pumping huge amounts of resources into the research. Intelligence agencies and the military are doing the same. Take it another step and it’s not inconceivable that outright bad actors are exploring those ideas too. Phillip Killicoat in a working paper for the World Bank [pdf link], published in 2007, estimated that of 500 million firearms worldwide in 2004, approximately 100 million were descendants of Kalashnikov’s designs, three-quarters of those being AK-47s. The first easily replicable AI weapon will spread just as widely and be even more devastating. 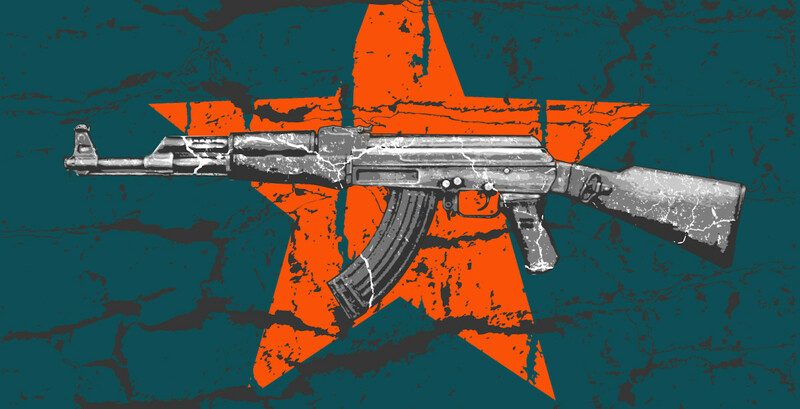 The AK-47’s strength was born from constraints. Kalashnikov designed a weapon that could be mass-produced using the production methods available to the war-weary Soviet Union of the late-40s. The weapon’s design – generous clearances between moving parts, a tapered cartridge case – mean it can continue firing long after other weapons would be gummed up by dirt, dust and grime. The tradeoff is that it is less accurate than rivals. Weaponry, unlike consumer technology, doesn’t always yoke to the principle that products get smaller, cheaper, faster and better over time. While the AK-47 has remained the practically open-standard for cheap-to-make, cheap-to-acquire semi-automatic rifles, expensive projects pushed by militaries across the world have failed to match it. The British Army spent over £480 million ($308 million) and 30 years developing its current standard issue rifle, the SA80. Soldiers despise it. It’s unreliable, works poorly in desert conditions and is fragile compared to the Kalashnikov. Massive bureaucracy and military might may not create the AI weapon that will become the future AK-47. Computing power continues to get cheaper and the ideas around artificial intelligence continue to spread. The Mikhail Kalashnikov of AI warfare will be an inventor who gets those principles and works around constraints to create something deadly. And unlike his or her predecessors they’ll have tools like 3D-printing and cheap server farms to lean on. The global autonomous weapons ban Hawking and others are seeking will most likely count for nothing. Someone will make an AI weapon that is replicable and once it is, it will never be stopped. The concept of drones has spread from huge military applications to handheld consumer options. Artificial intelligence will follow a similar path. The realm of ‘aggressive’ AI, designed to power and pilot weaponry, will not be limited to traditional nation states and combatants with standing armies and even the most basic respect for international law. The AI AK-47 is in our future and that’s terrifying.